Hickory House serves turkey, mashed potatoes and cranberry sauce from 11: 30 a.m. to 4:30 p.m. for a suggested donation. Justice Snow’s has three Thanksgiving seatings at 2, 5:30 and 7:30 p.m. for $45 and $30 for ages 10 and under. Trecento Quindici Decano in the St. Regis serves a Thanksgiving buffer at noon. $95 for adults and $39 for children. Hotel Jerome offers a traditional Thanksgiving buffet with the first seating at 4 p.m. and last at 8 p.m. $95 for adults and $35 for kids. The Chefs Club at the St. Regis offers a Thanksgiving dinner with a wine pairing. $85 per person with a $55 wine pairing. 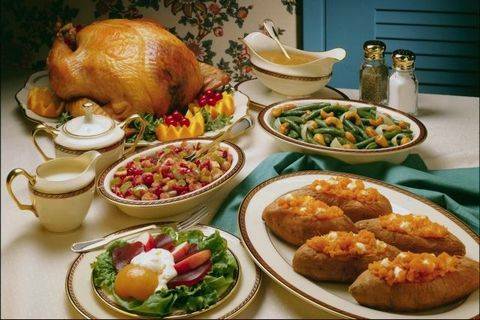 Jimmy’s serves a Thanksgiving meal in addition to its regular menu for $32 for adults and $15 kids. The Little Nell offers Thanksgiving dinner for $95 per person.